No need to exaggerate – life is strange enough as is. Occam’s Razor, circa 15th century. I’ve held off on posting on this subject for several months, as I wanted to get it right. No – this isn’t about a coffee drink. 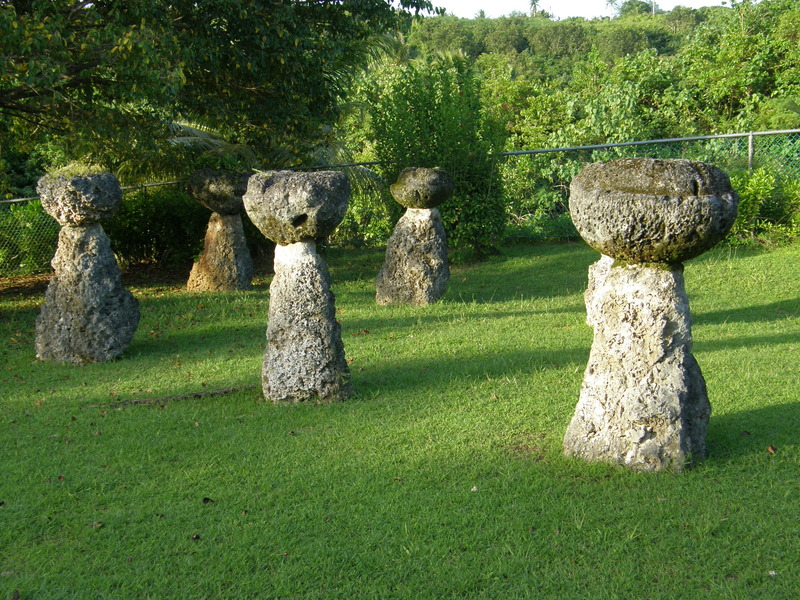 These are latte, or a type of stone construct used in buildings by the ancient Chamorro. 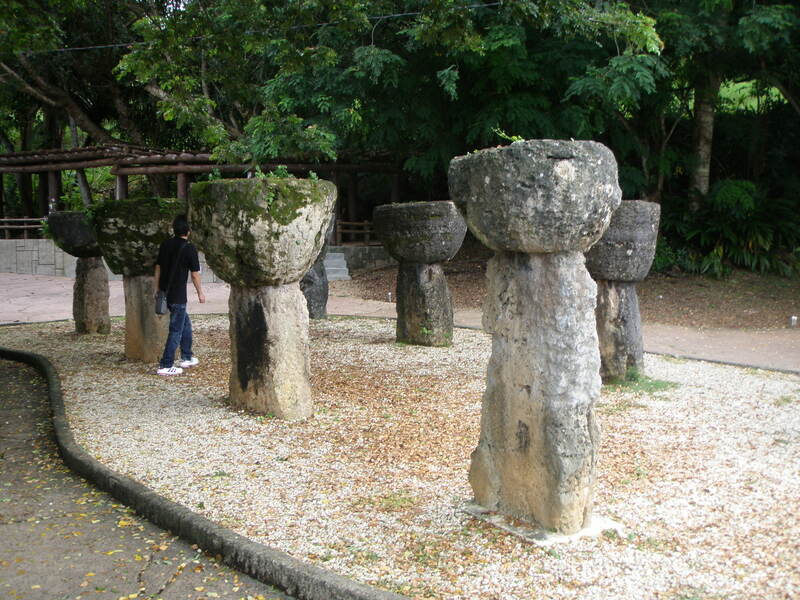 Chamorro have been part of these islands for 3,500 years, according to historians. Limited area, plus small populations of hunter-gatherers make this easier to date than say, the origin of Paris. 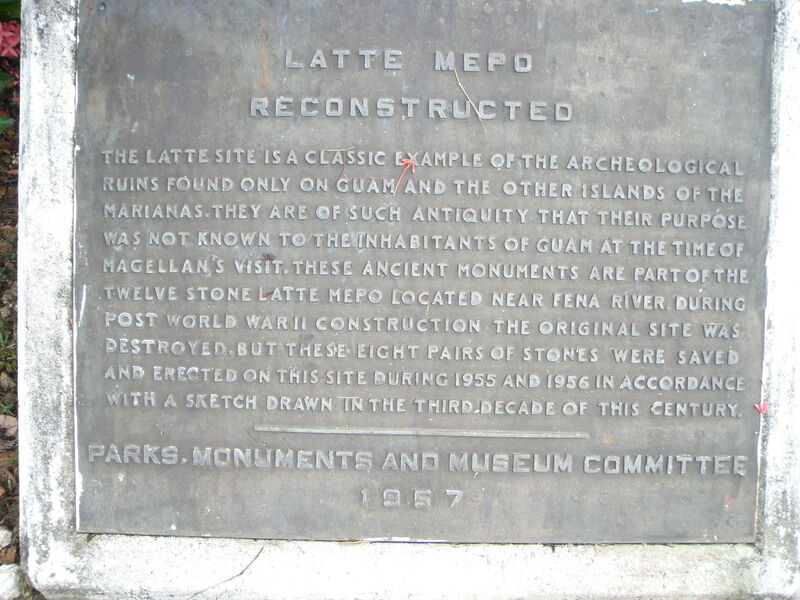 Along those lines, though – Latte have been a part of Chamorro culture for nearly 1,000 years. 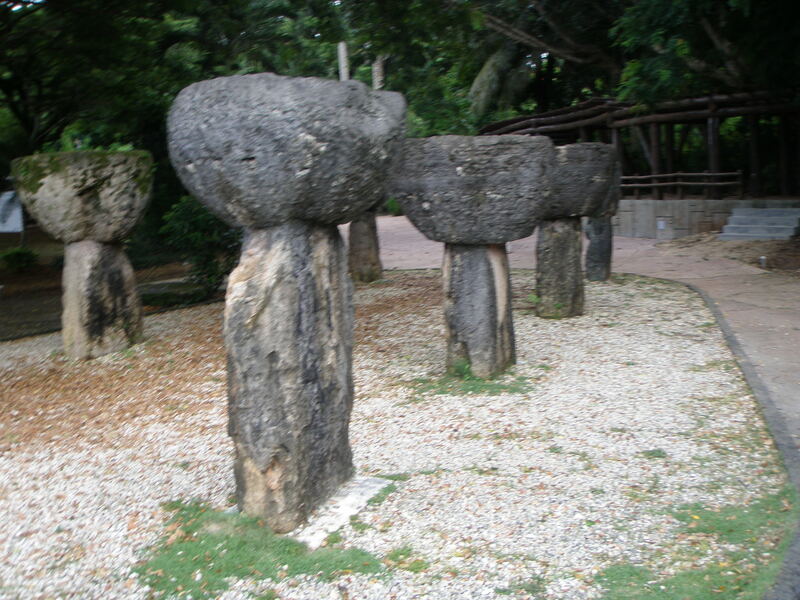 The ones I’ve seen so far have been transplants – stones moved from their original locations and landed out of respect (pu respetu) for their history and heritage. 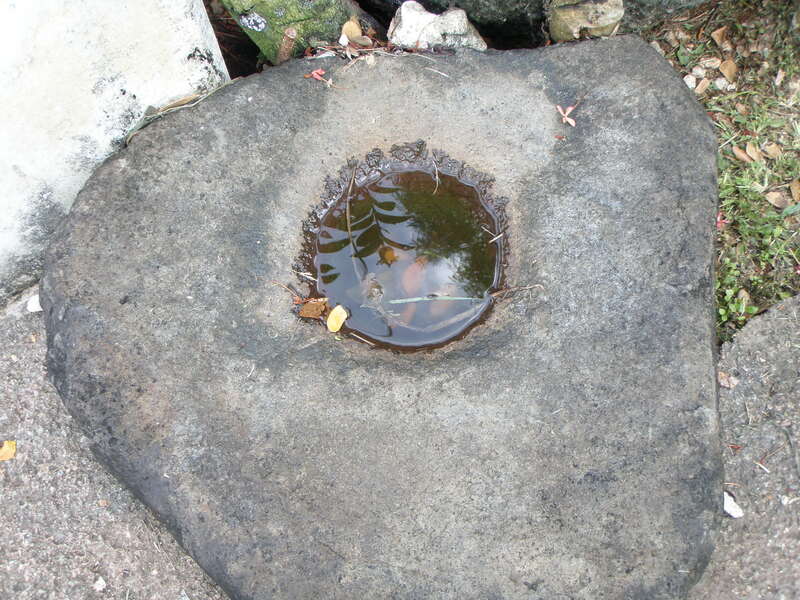 The lower section of the stone (haligi) is quarried from local limestone, and the head (tasa) is literally a coral head plucked from the local reef and set upon the haligi flat side up. Imagine wrestling a 500 pound coral head onto a dugout canoe, and one sees the process of making latte was not easy. While the reason for these magnificent pieces of architecture are disputed, I’m going with Occam. The easiest way to save one’s thatched hut from a typhoon is to ballast the hell out of it. 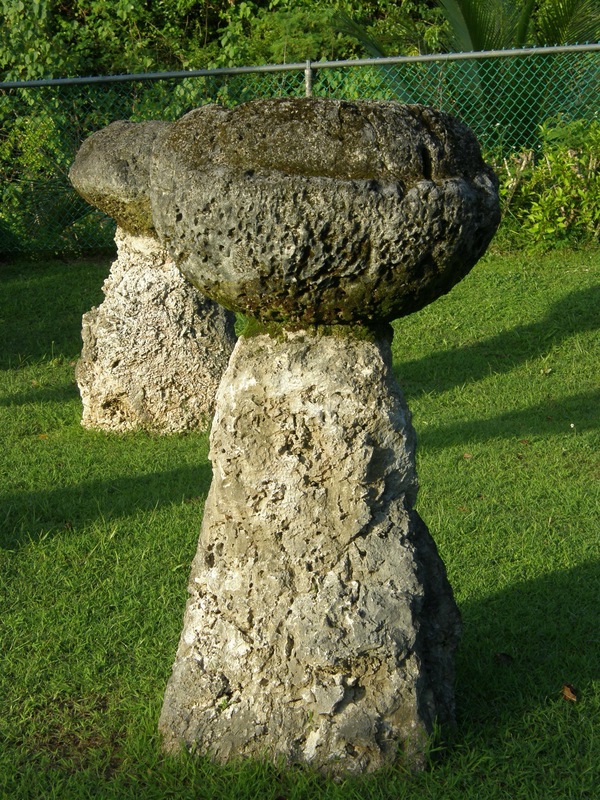 Chamorro culture was communal, like many Polynesian societies. Young men lived communally in large groups, and women visited them regularly. The idea of a nuclear family was a European construct foreign to Chamorro until the advent of the Spanish. So large groups of people lived together in a commune of sorts – sharing everything, including partners. When the Spanish arrived in the early 1500’s they were upset by this sharing. Islanders came aboard their vessels and took things they liked as was their custom. The Spanish did not like this, and named the Marianas Los Isolas De Los Ladrones, or the Islands of Thieves. One man’s gift is another’s felony, I suppose. 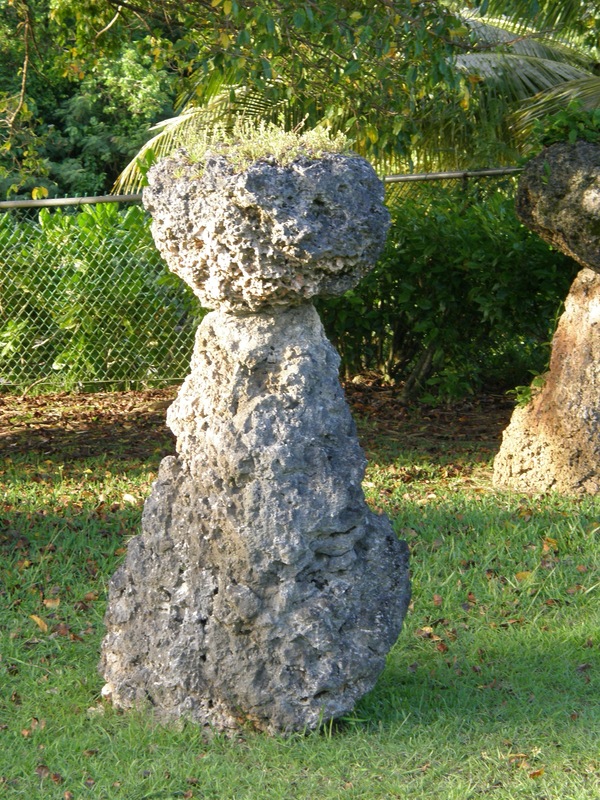 ballasted against 175 MPH winds via coral heads. 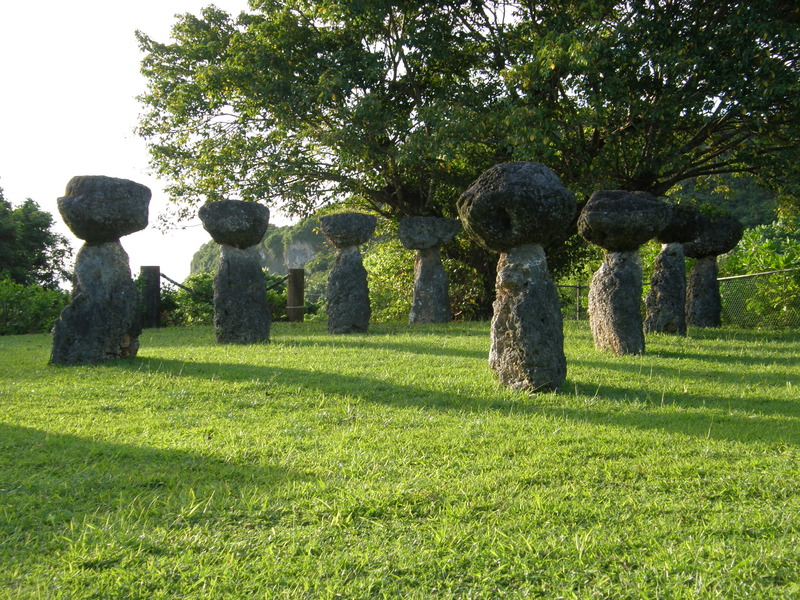 No mystery here – simply smart people adapting to their environment a millennia ago. I like these latte, for they speak to me as few things do on this enigma of an island. 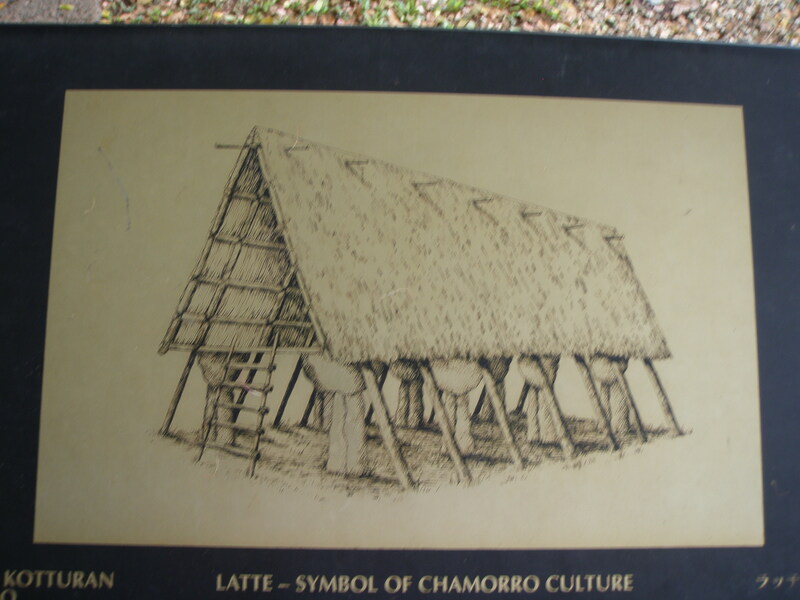 Next is to find latte in their original location so as to get the aura of an original Chamorro village – a subject for yet another post. You do come up with some interesting things Chuck. Its so cool you get into learning on a trip to neat places instead of just wondering around the hotel & beach like most would do. Thanks for sharing your travels & thoughts, you to nice lady. It’s about to get interesting in a way unlike any other travel site, as I’ve got the scoot running fairly well. Will put the big carb on tonight and hope the throttle surge which plagued the setup during break-in goes away. If not – I’m happy with the 47 MPH top speed it has now, for that’s enough to hang with traffic on Marine Corps Drive. Still – be nice to have the fastest 50cc 4-stroke scoot on the island. Thus outfitted with scooter, my plan is to hit every road on the island – and then some. I’ve knocked off all the main routes – now I want to photoessay the villages. It’s interesting back in the villages – goats and chickens and carabao roam freely; houses made of military surplus corrugated steel, surrounded by banana trees. Please bring a functional cell phone and your epi pen & benadryl. Maybe a flare too in case the phone doesn’t work. Ha. Thats funny, when I was young I used to work at Survival Technology, the place that invented the epi pen. Teto the lab used to send me out to the store for steaks, & long john an fatigues to put over the steak to get the spring pressures rite for the military customers. They originakky made the epi pen to use the anti nerve gas medicine, then later for heart attach peoples, bee sting people, etc. That was a fun place to work, I should have stayed that path instead of going into cars. But back then, cars where “neat” der. I use them all the time. When one expires unused, I discharge it and remove the needle B4 disposing. Dunno if you tried this during testing, but an epipen will sink its needle to the hilt in a two by four. When I saw that, I figured out how to tear them apart and inject manually. Don’t need the needle stuck in my bone on account of missing the ‘sweet’ spot. And yes – the name danger boy is an earned moniker. Saint Motorbikes Jeff’s the only guy I know brave enough to turn a Ural into a Cafe bike. This Week on the Island The very first blog I began following – What’s happening in Key West.